The Ascension of Jesus is told in the Bible in Acts 1:9-11. This teaching explains that the resurrected Jesus was taken up to Heaven 40 days after the resurrection. The Gospels also describe the ascension of Jesus in Luke 24:50-53 and Mark 16:19. 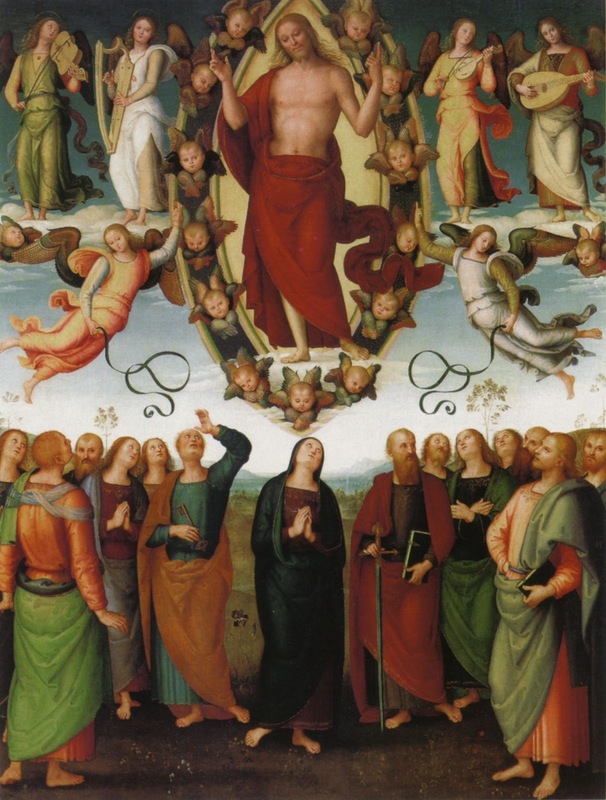 The ascension of Jesus is included in the Nicene Creed and in the Apostles' Creed. The Feast of the Ascension, is celebrated on the 40th day of Easter (always a Thursday). In some countries this Feast is transferred to the Sunday following the Thursday. Jesus said unto them, "Go ye into all the world, and preach the gospel to the whole creation. Jesus led the eleven disciples to Bethany, not far from Jerusalem. Then he lifted up his hands, and blessed them. And it came to pass, while he blessed them, he parted from them, and was carried up into heaven. Acts 1:9 describes the Ascension: "And when he had said these things, as they were looking, he was taken up; and a cloud received him out of their sight." The Ascension took place on Mount Olivet. The Chapel of the Ascension in Jerusalem today is venerated by Christians and Muslims. There is a 12x12 meter octagonal structure (called a martyrium—"memorial"—or "Edicule") that remains to this day. Russian Orthodox have a Convent of the Ascension on the top of the Mount of Olives. Christian theology The Catechism of the Catholic Church explains:"Christ's Ascension into heaven signifies his participation, in his humanity, in God's power and authority." CCC 668. In John 20:17 Jesus told St. Mary Magdalene: "I have not yet ascended to the Father; go to my brethren and say to them, I am ascending to my Father and your Father, to my God and your God"
Ascension remembers the day when Jesus went up into heaven 40 days after He rose from the dead. The Ascension is often transferred to the Sunday so that people can attend Mass. Come, Holy Spirit, fill the hearts of Thy faithful, and enkindle in them the fire of Thy love.